Hermeneutics: it's not life or death... right? "Hermeneutics" (plural in form, but used with both singular and plural verbs) is the art and science of Biblical interpretation. It's the set of rules, held consciously or not, that govern the way you read the Bible. You have a hermeneutical construct, I have a hermeneutical construct. It may be pretty darned good, it may be smelly-awful wretched, but you and I have one. How one arrives at his hermeneutical position may very well be a chicken/egg conundrum. Does [your-favorite-reprobate's-name-here] read his Bible the way he does because of his appalling lifestyle? Or does he have an appalling lifestyle because of the way he reads his Bible? Or is the relationship symbiotic, co-dependent? It was your standard panentheistic Christian heresy, very like Christian Science except we weren't so negative on seeing doctors. Fundamentally, Religious Science taught that God is in all things, and expresses Itself as and through all things. Therefore, we are all expressions of God, and all have within ourselves the Christ-consciousness. "Christ" is the principle of god-consciousness, the I AM, within everyone. Our goal in life was to harmonize our minds with God, and thus to manifest truth, love, joy, stuff. Now, like most American cults, Religious Science wants to get on the Jesus-bandwagon by mouthing great platitudes about Jesus, how He was a great prophet, a great teacher, a great mystic, the most perfect manifestation of God-consciousness to date. But Jesus was no different than we, and we can all live the same life. Stay with me, I am going somewhere with this. The Religious Scientist runs into the problem that Jesus did not say much that sounded like any of that. And that's where hermeneutics comes in. See, the problem is that Christians have misunderstood and misrepresented Jesus all this time. They took His words too literally and shallowly, when really they had a deeper, spiritual meaning. When He said to pray, "Our Father," He was saying that all without distinction are God's children. So what about Hell, sin, salvation? No problem; Hell is just the experience of being at seeming disharmony with the One Mind; sin are thoughts out of harmony with the One Mind; salvation is just reaffirming and manifesting your union with the Godhead. See? Now, the tale of my conversion, and of why I am still a Christian, is a much longer yarn than I will untangle here, except to focus on one aspect: how the Holy Spirit used hermeneutics to convert and save me. I learned to read the Bible the Religious Science way from my pre-teen years. I looked for (and found) the "deeper meaning" that those idiot Christians and Jesus-Freaks kept stubbornly missing. It was a mindset, on the level of the reflexive. But I did keep running into things that He said that jarred even my firm grid. It created a slowly growing tension: on the one hand, we thought Jesus was the greatest Teacher and Prophet and Mystic who ever lived; on the other, He sure expressed Himself poorly sometimes! But never mind; we were always there to "help" Him. The single greatest snag was John 14:6 -- "Jesus said to him, 'I am the way, and the truth, and the life. No one comes to the Father except through me.'" Sure sounds as if Jesus was saying what we Religious Scientists all denied: that no relationship with God is possible without a personal relationship with the person, the man, God incarnate, Jesus Christ. But that isn't what we thought he meant. It couldn't be. It would destroy the whole foundation and superstructure. Here is how Ernest Holmes, founder of that cult, explains Jesus' words: "We cannot come unto the Father Which art in Heaven except through our own nature." So, what Jesus really meant was the precise opposite of what He seemed to be saying. That worked fine for me, for awhile. But over the period of many months, the Spirit of God did a work on me, convicting me of sin, exposing to me my actual distance from actual God, my God-un-likeness, the multilevel trainwreck that was me. When I combined the realizations that I basically had found a religion that told me what I wanted to hear, and that I myself wasn't much better than a drooling idiot in the ways that mattered, it shook me to my foundations -- and I started looking at Jesus anew. And I prayed, that God would show me the way to Himself, even if it meant that I had to become a Jesus Freak. (That was the worst thing I could think of at the time.) What did I have to do? And again loomed John 14:6, giving me Jesus' answer to my question. This was the great Teacher, the great manifestation of God, Jesus, clearly laying out the only way I could come to God. But what did He mean? Did He mean that I was my own way to God (with Religious Science)? Or did He mean that I needed to believe in and know Him, Jesus, personally (with the Jesus Freaks)? I had no idea, but at that point my very life was hinging on a hermeneutical question. Here's the line of thinking that the Spirit of God used to deliver me from the deceptive maze of mystical subjectivism. I took the premise that Jesus was the greatest Teacher, and assumed that a good teacher is a good communicator. He says what he means; his words convey his meaning. He speaks to be understood by his audience. So then I simply posed this question question to myself: "If Jesus had meant to say that each of us is, within himself, his own way to God, could He have said it more clearly?" To put it differently, do these words best express that thought? The candid, inescapable answer was an immediate No. In fact, if that had been what Jesus had meant to say, He could hardly have phrased it more poorly... in which case He wasn't much of a teacher at all, let alone the greatest ever. That was a turning-point. I had to face the fact that Jesus did not believe what I believe. Jesus did not think God could be known as I thought He could be known. And that, in turn, threw the question to the decisive fork in the road: who is more credible? Jesus, or me? Had you said "Hermeneutics" to me at the time, I might have responded, "Herma-who?" Had you further said "Grammatico-historical exegesis," I couldn't even have managed that much. But that is precisely what was going on. Now it's well over thirty years later, I've taken classes in Hermeneutics on the master's and doctoral level, read books and articles, written on the subject, fleshed out and used an array of principles of interpretation. But still that single method, that simple question (along with its implications), has resolved more knotty issues for me than any other. It's why I'm an inerrantist. It's why I'm a Calvinist. It is at the root of my core convictions. In fact, at bottom, in the hand of God it is why I am a Christian. As I've fleshed it out, it is simply a formulation of Hebrews 1:1-2a. The Bible is God's unfolding Word, and it is God's Word to us. He speaks to be heard, and understood. Hence its meaning is not a matter for secret-club decoder-rings, arcane rituals, and secret councils composed of a different class. It is to be understood according to the normal canons of language. Does that matter? It sure matters to me. It's what the Lord used to save me. The PyroManiacs devote Monday space to highlights from The Spurgeon Archive. This week, in celebration of the Olympic closing ceremonies, we bring you your dose of Spurgeon a little early. One great evil of the times is the insatiable craving for amusements. That men should have rest from labour, and that they should enjoy such amusements as refresh both body and mind, nobody wishes to deny. Within suitable bounds, recreation is necessary and profitable; but it never was the business of the Christian Church to supply the world with amusements. Did Christ found His Church that it might offer to the public tableaux vivants, and living waxworks? A Dissenting congregation, to my own knowledge, commenced a series of special services with a social meeting, and the evening was spent in various silly dissipations; and among other things the assembled friends played at "Musical Chairs"! I do not know whether you understand what that childish game means. Think of ministers of the gospel and officers of a church playing at "Musical Chairs"! There is a bill extant which states that, next week, there is to be a "Punch and Judy" show in the same place of worship (so-called)! This is to go on side by side with the preaching of Thy bleeding sacrifice, O Christ of God! No, brethren, let me correct myself; the preaching of Christ usually ceases when these frivolities come in. These things are so opposed in spirit, that one or the other will have to be dropped; and we know which it will be. What is to be next done in our chapels? To what length of tomfoolery will ministers of the gospel yet go? Amusements beneath the contempt of idiots have been tolerated in our schoolrooms. It has not come to that yet with us, personally; but, brethren, we ourselves have to battle hard against it, for the people are all agog for these vanities, and there are so many societies and institutions more or less remotely connected with our churches that it is difficult for us to keep them all from wandering. Brethren, we are not here to play away our time, but to win souls for Jesus and eternal bliss. By the solemnities of death, and judgment, and eternity, I beseech you, keep yourselves clear of the follies, the inanities of the day. Remark with interest how "the wisdom of this world" and the follies of it seem to be boon companions, and turn from them both with equal loathing. 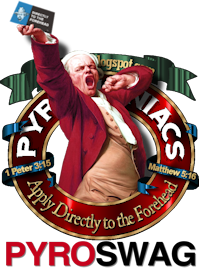 What we do best here at TeamPyro is sell t-shirts write some original commentary on the state of Christian faith and the church, and we of course offer you a lot of Spurgeon. However, as I was suffering from insomnia on Friday while my wife was out of town, I found this link at the National Review Online, via Adrian Warnock. 13. True or False: Religion has no effect on divorce rates. False, false, false. Mere religious affiliation may not reduce divorce, but religious practice clearly does. One longitudinal analysis of the National Survey of Family Growth found that couples who attended church as often as once a month had divorce rates less than half that of couples who attended church once a year or less. Similarly, a recent study of the National Survey of Families and Households found that marriage in which both couples attend church regularly have the lowest divorce risk (David B. Larson and James P. Swyers, 2002, "Does Religion and Spirituality Contribute to Marital and Individual Health?" in John Wall et al (eds.) Marriage, Health and the Professions). There are probably ten different things to say about this factoid -- ranging from the apologetic horsepower such a fact provides in reviewing the impact of faith in social stability to the rabbit chase of why it is important to understand what statistics say when they are employed. What I'm going to Pyropine on here is something that readers of this blog ought to have hit them in the face: faithfulness to the church results in the faithful living of our lives. When even somewhat-loose church attendance can impact divorce rates this significantly -- cutting them in half -- we have everything we need to know about whether the myth of "me, Jesus and my Bible" can ever hold any water. 21And since we have [such] a great and wonderful and noble Priest [Who rules] over the house of God, 22Let us all come forward and draw near with true (honest and sincere) hearts in unqualified assurance and absolute conviction engendered by faith (by that leaning of the entire human personality on God in absolute trust and confidence in His power, wisdom, and goodness), having our hearts sprinkled and purified from a guilty (evil) conscience and our bodies cleansed with pure water. 23So let us seize and hold fast and retain without wavering the hope we cherish and confess and our acknowledgement of it, for He Who promised is reliable (sure) and faithful to His word. 24And let us consider and give attentive, continuous care to watching over one another, studying how we may stir up (stimulate and incite) to love and helpful deeds and noble activities, 25Not forsaking or neglecting to assemble together [as believers], as is the habit of some people, but admonishing (warning, urging, and encouraging) one another, and all the more faithfully as you see the day approaching. 26For if we go on deliberately and willingly sinning after once acquiring the knowledge of the Truth, there is no longer any sacrifice left to atone for [our] sins [no further offering to which to look forward]. we should let it sink in. When even secular research confirms what we know to be true, let's act like it is true. God bless you, and good night. For about a week now, I have been making this really great point about the Gospel over at my blog, and nobody's reading it. And I'm not going to cross-post it because that's ridiculous. Phil called yesterday's post "quotable", but it all starts right here, and if you are interested you can follow the "series" links at the bottom of each page to read the suceeding installments. Sure: you're all over here reading about Spurgeon and whatever. Well, suit yourselves. Billy Morrison spoke in our church in Aberystwyth on June 20th. I had not seen him for six or seven years when I visited the prison in Northern Ireland where he was serving twelve years for terrorist offences. His father had been a member of the loyalist para-militaries and so he was raised to consider fighting republicans as a justifiable action'defending our patch.' While Billy was in prison a man called Walter gave him a book of Spurgeon's sermons to read. That morning he had no interest in God at all, and no desire to become a Christian. That afternoon he read that sermon, and that evening he was on his knees before God asking God to be merciful to him. The next day he met his gang of friends and told them that he had become a Christian. Not only did that terminate most of his friendships but immediately he forfeited all the protection that membership of the para-military groups provide in that confined life behind bars. 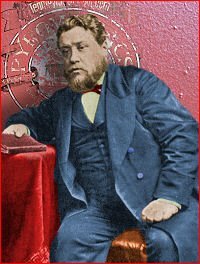 The sermon of Spurgeon's which he read was on Luke 7:42, "And when they had nothing to pay, he frankly forgave them both." The story gets more poignant by this: the man who gave him the book of sermons is called Walter, who had served five years earlier for various offences, been released, and then was converted. That confronted him with the terrible fact that he had not told the authorities all the crimes he had committed earlier. 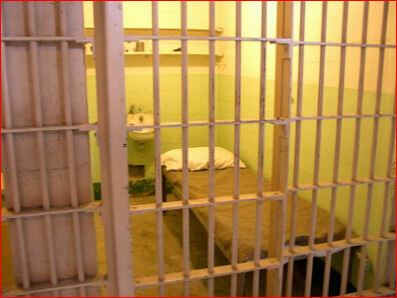 Should he tell them, and return to prison, or keep silent and work for the Lord outside? He had no peace and so he went to the police and confessed all his other actions to them. Back he went to prison for a further twelve years. It was then that he met Billy and gave him this book. The following week he was transferred to another prison. Both of them have now finished their sentences, and both have completed university degrees (Billy's is in accountancy and business), and Walter is now Billy's closest friend. Walter has developed a painting business with work acknowledged to be of the highest standards, and he employs 25 men, Catholic and Protestant, to work for him. Billy worships in an evangelical Congregational church, and his passion for years has been to be involved in literature work with African pastors. From his prison cell he wrote hundreds of letters setting up a number of schemes, and notwithstanding many disappointments, the major readjustment to leaving prison, and the death of his mother a few months ago, he manifests that single-mindedness. He has spent some months in Kenya and in Uganda and looks forward to returning next year. A little man, he is not yet an articulate public speaker, possessing a strong Belfast city accent. He can run his words into one another, but he tries to slow down and enunciate his story and his concerns so that we non-Ulstermen can comprehend what God in his grace has done in his life and yet may do. But there is also a fine self-effacement, and a horror and shame at what he had once done, of which he will not speak. His confidence in the power of divine regeneration and of literature as factors that have transformed his own life encourage us all who share the same convictions. People come to you for help -- instead of assuming that, if you really knew your job, you would intuitively know they needed help, and come to them without being asked. Everyone who asks you for help really wants to he helped. Everyone to whom you give sensible counsel will hear, heed, remember, and follow that counsel -- they won't insist on "feeling an inner peace" before doing it. When you discover a new, better, more effective way to accomplish the goals you share with the folks you help, they're happy -- not angry at you because it's different from "the way we've always done it." The people you help evaluate you by whether you do or do not do your actual and well-defined job effectively -- not by how you "make" them "feel." 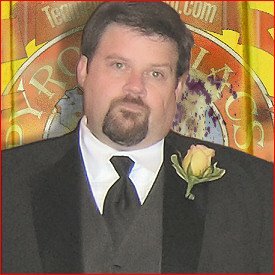 The people you help aren't judging you as inferior to a beloved support technician who died ten years ago. There. I changed shirts. That's much better. Note to self: add rule to Pyromaniacs' posting guidelines. Ban all unapproved candid photos from the blog. Incidentally, for those who have wondered about the "Pyromaniacs" merchandise in Frank's Pawn shop: Yes it's real. Below are some actual pictures of my friend Madeline wearing the Infant Creeper. Trust me: it's really cool stuff. We'd sell it here, but I don't want to commercialize the blog. 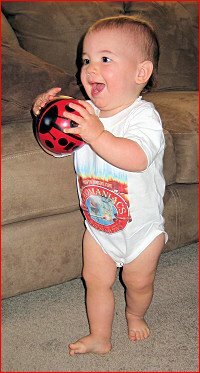 Frank's blog is already a giant mercantile center, so he's handling all the merchandise. Load up while you can. 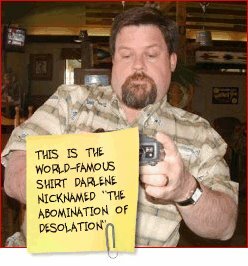 If Frank keeps posting pictures of me in my fishing shirt, his affiliation with PyroManiacs could be short-lived. Normally, I wouldn't allow crass commercial promotion on this blog, especially the kind that uses a good-looking female model. But since Frank uglified the blog this morning, we need to restore some equilibrium to the universe. I just wanted to say that since Phil is busy this week, it might serve him well for all of us to take five minutes (or an hour -- don't be stingy) and pray for him as he prepares for the Shepherd's conference. He's carrying a pretty big share of the work himself this year, and wouldn't it be great if God was in it? Don't get all snippy about whether that's a continualist statement or a cessationist statement, OK? I'll close the comments down on this post if things turn ugly. 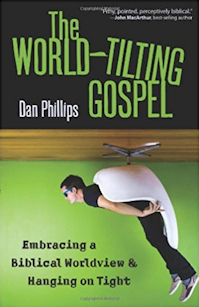 Just think about Phil -- to whom God has given much to share -- sharing with all kinds of pastors. Let's pray that he remains strong and healthy, that his work is fruitful and God-honoring, and that above all else the Gospel is preached and men's hearts are turned toward Christ. We love you, Phil, because you love Christ. Go get 'em! Booyah! Here's an early treat: Monday's Spurgeon post on Sunday afternoon. Be sure to read the brief items at the end of the post. The following excerpt is from a sermon titled "Encourage Your Minister," preached by Charles Spurgeon on Sunday Morning, October 18th, 1863, at Cornwall Road Chapel, Bayswater, where his brother, James Spurgeon (not to be confused with the famous blogger) was pastor at the time. If you do not encourage your minister, your minister will probably sink down in despair. Remember that the man himself needs encouragement, because he is weak. Who is sufficient for these things? To serve in any part of the spiritual army is dangerous, but to be a captain is to be doubly exposed. The most of the shots are aimed at the officers. If Satan can find a flaw in our character, then it will be, "Publish it, publish it, publish it!" If he can lead us to keep back a doctrine or go amiss in practice, or wander in experience, he is glad enough. How delighted is the devil to break the vessels of mercy. Pray for the poor man, whom you expose to perish if you do not preserve him by supplication. If there were a ship at sea stranded and broken on the rocks, and someone volunteered to carry a rope to the sinking crew, you, standing on the shore, could do no more, methinks you could not do less, than cry, "O God! help him to bear the rope to that wrecked ship." Pray for the minister and encourage him, for there are plenty to discourage him. There are always carping spirits abroad who will remind him of any fault; he will be afflicted by those dastards who will not dare to sign their names to a letter, but send it to him anonymously; and then there is the devil, who, the moment the man has got out of the pulpit, will say, "There is a poor sermon! You will never dare to preach again." After he has been preaching for weeks there will come a suggestion, "You are not in your proper sphere of labor." There are all sorts of discouragements to be met with. Professing Christians will backslide. Those who do remain will often be inconsistent, and he will be sighing and crying in his closet, while you, perhaps, are thanking God that your souls have been fed under him. Encourage your minister, I pray you, wherever you attendencourage him for your own sake. A discouraged minister is a serious burden upon the congregation. When the fountain gets out of order, you cannot expect to find water at any of the taps; and if the minister be not right, it is something like a steam engine in a great manufactoryeverybody's loom is idle when the motive-power is out of order. See that he is resting upon God and receiving his divine power, and you will all know, each Sabbath day, the benefit of it. This is the least thing you can do. There are many other things which may cause you expense, effort, time, but to encourage the minister is so easy, so simple a matter, that I may well press upon you to do it. A word about : If you're wondering whether I have abandoned my other websites, fear not. The sites have always been hosted on servers at Grace to You, but I try to maintain them in my spare time. Because of increasingly stringent security requirements, it became impossible for me to upload files by FTP from my Earthlink account. I've maintained the websites in my spare time at the office for the past five years or so, and the amount of time I can devote to that task has steadily diminished. For the past month, because of a glitch in my FTP client, I've been unable to make any uploads at all. The tech wizards at Grace to You are in the process of moving my websites to independent servers, which will enable me to upload from anywhere. 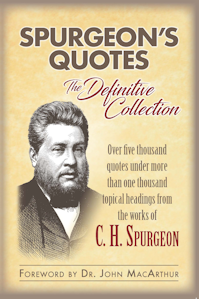 I already have a dozen or so new Spurgeon sermons ready for upload. And I have a lot of updating that needs to be done to my controversial bookmarks. Bear with me. Next week is the Shepherds' Conference at Grace Church. Between now and then, I need to finish my preparation for five seminars, so don't look for me to be blogging much until after the conference is over. The other Pyros will have to carry the load. If you're coming to the conference, look me up and ask for a free copy of one of the original world-famous color-fast premium-vinyl PyroManiac bumper stickers. I have about 40 left, and I'll give them out one at a time as long as they last. I'm trying to get some stickers with the brand-new fiery PyroManiacs logo, but I don't know if they'll be ready in time for the conference. If so, I'll try to have some of those handy to give away, too. In an earlier post, I mentioned that during my student years in college, I was influenced by Keswick-style deeper-life teaching, and particularly the work of Charles Gallaudet Trumbull. Trumbull wrote in the early part of the 20th century, and he served a long tenure as editor of the Sunday School Times. 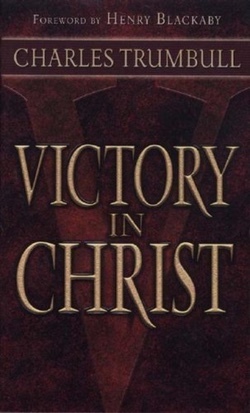 His book, Victory in Christ, has been almost continuously in print for more than 75 years, and is one of several influential guides to the Keswick-style "deeper life" doctrine. Trumbull was largely responsible for popularizing the expression "Let Go and Let God." He advocated a radically passive view of sanctification-by-faith-alone that more or less eliminated the need for human effort of any kind. One of the hallmarks of perfectionismand nearly all other errant schemes of sanctification, too (including classic Pentecostal theology)is the way these schemes set up two categories of Christians: the merely-saved and the sanctified; the haves and the have-nots; the "alreadies" and the "not yets"; or whatever. The nomenclature may vary, and the advanced group may be described in various wayswholly sanctified, Holy-Ghost baptized, or supersaints who live life at a deeper level or on a higher plane. But the inevitable promise of an instant, easy entry into the higher-level group always has the stench of a gnostic-flavored elitism about it. Trumbull preferred the expression "the victorious life." He suggested that only about one in a thousand Christians ever attains "victory" over sin. In his view, the problem with the "average Christian" (get this:) is that he or she tries too hard. On the train this afternoon I was reading a letter from a woman who is at this Convention, and she said, "I am trying to live the victorious life, and so I" did so and so under certain circumstances. That Christian friend may be in this audience tonight; and if she is, I cannot refrain from saying that as long as she keeps on trying to live the victorious life, she won't live it. If any of you are making the mistake of trying to live the victorious life, you are cheating yourself out of it, for the victory you get by trying for it is a counterfeit victory. You must substitute another word; not try, but trust, and you cannot try and trust at the same time. Trying is what we do, and trusting is what we let the Lord do. While I'm at it, let me cite one or two more quotations from the book. I am not generalizing or picking on an obscure point. Passivity is the whole gist of Trumbull's whole approach to sanctification. He says, for example: "Christ's power is not futile without our effort, but it is made futile by our effort. To attempt to share by our effort what only grace can do is to defeat grace." "Do you know that not only for three months have I not once slammed the door in the face of one of these stupid . . . servants that used to get on my nerves so, but I haven't even wanted to once in the three months!" And that was a miracle. Not keeping from slamming the doorthat is no miracle. Any ordinary, unsaved person who is halfway decent can keep from slamming the door: by setting his teeth, using his will, putting his hands behind his back, and determinedly not doing what he feels like doing. No, there is no miracle in that. But to go for three months without once wanting to: without once feeling within yourself that angry surge of irritation, of temper, that makes you want to show your feelings in some outward, uncontrolled way; does not your heart tell you that that indeed would be a miracle in your own life? But that is Christ's offer to us now and herefreedom immediately and completely from all the power of known sin. That is what Paul meant as he came forever out of the seventh chapter of Romans into the eighth; when he said in the second verse of the eighth, "The law of the Spirit of life in Christ Jesus made me free from the law of sin and death" (A.S.V.). Are you rejoicing in Christ as your Victory in this miraculous way? 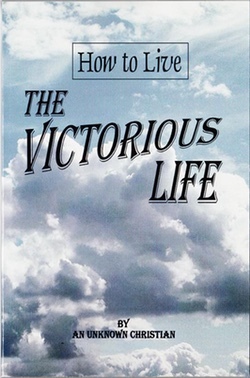 Another book that teaches precisely the same theology is How to live the Victorious Life, by Albert Ernest Richardson, an Anglican priest (and missionary) who wrote anonymously under the name, "An Unknown Christian." He says, "Faith does nothing; faith lets God do it all . . .. It is Jesus Christ Himself who gives the victory. All I can do is look to Christ in faith and let Him overcome for me." The Unknown Christian echoes Trumbull when he writes, "The entrance [into the victorious life may be summed up in two [sic] simple mottoes:Let Go and Let God." This Decision for Holiness is a crisis in a Christian's life. With it comes an instantaneous revelation of God to him, that Christ can be all in all; that Christ can and does give Victory over all known sin: not gradually but Instantaneously. "Having therefore these promises let us cleanse ourselves from all defilement of the flesh and spirit perfecting holiness in the fear of the Lord" (2 Cor. 7:1). The tense in the Greek shows that this is done at once as a definite and decisive act. This is the crisis of sanctification. Let gosurrender: then "let God" do His part. But God will not allow any effort or struggle on your part to help Him. Salvation is entirely a gift of God: entirely of grace (60-61). Now, what are the errors of this way of thinking? Is Scripture teaching what these men say it is? First, we can acknowledge that there is a very crucial germ of truth in the idea that it is God who sanctifies us and not we ourselves. I introduced this series of posts last week with a reference to Philippians 2:13, which says true holiness is a result of God's power at work in us to will and to work for his good pleasure. We don't become holy through our own fleshly effort. But we don't become holy without effort, either. Certainly all our effort must be Spirit-empowered. But sanctification does, after all, require our obedience, our diligence, and the mortification of our own sinall of which are part of what Philippians 2:12 requires: "work out your own salvation with fear and trembling." It separates justification from sanctification and makes them hinge on separate acts of believing. That sets up two classes of Christians: the saved-only and the true disciples; the defeated and the victorious; lower-plane and higher-plane Christians, or whatever. The formula of trusting without trying suggests we ought to defer obedience until we get the right feeling, or experience some ecstatic liberation, or are otherwise supernaturally made to do what is right. Think about the implications of Trumbull's illustration about the missionary woman who said she had found "victory" over her door-slamming anger: What should she do if something happens to make her experience those old feelings of anger? If she follows Trumbull's advice, she will probably lose her temper and slam the door, because according to Trumbull, if we "put our hands behind our back, set our teeth, and [refrain from slamming] the door," we frustrate the grace of God by human effort. Trumbull calls that "counterfeit victory." I say he and his fellow deeper-life aficionados are the ones peddling a counterfeit. If you want to read a truly helpful volume on the sanctification, I recommend John Owen's work on The Mortification of Sin. It's volume 6 in the complete works, but someone has made a helpful readers-digest edition for modern readers. It's good stuff. OK: let's remember that I'm the guy who has openly called CBA a "cess pool", and that I'm the one who has called Joel Osteen a person with an android-like smile. I'm the guy who usually starts this little fight, but today I'm going to take the other side of the argument. What I am not going to defend is Jesus Junk™ -- you know, the ubiquitous spinner covered with semi-Christian taunts (not even well-written ones) and plastic froofroo with Bible verses on it which all sells for under a $5 and makes a ton of margin dollars. That's not actually "Christian" stuff: that's stuff people buy to make themselves feel somewhat giddy about being a Christian. You have a keychain? I have a Christian keychain – Jesus loves even me, baby. I am also not going to defend CCM. Steve Camp has that covered, and I like Steve, and while I enjoy some CCM music I cringe when I hear "Jesus is my boyfriend" songs. Not talking about CCM today – go back to your Third Day CDs without much guilt. Now, the right reason to complain about this list and all the books under this list is that there should be no REDS at all on this list. If you ask me – and you didn't, so forgive my audacity – the ECPA/CBA supply chain is wickedly shamed by the fact that there is even one "no-go" author or book on its list of top sellers. Seven is a complete travesty. And to take that premise one step further, the fact that any of these yellows are there when they could have been fixed in order to avoid being yellow is also a terrible shame. But the other side of the coin is this: 60% of the top 50 is in the worst case harmless. And if we de-classify the power of a praying franchise and the diet books from "yellow" to "white" as the controversy surrounding these titles is more like "scope of project" rather than "offense to the Gospel", we wind up with something akin to 70% of the books in the top 50 being in the worst case harmless. Some of it may be pap or filler, but let's be honest: most of my blog is pap and filler. It may amuse; it may set one brain cog to turn one-quarter revolution. But it's filler and not crisis-important stuff. So when we come out and bash CBA, let's first keep in mind that someplace between 60% and 70% of its "stuff" is pretty much non-offensive. I will be the first one to stand in line to say, "it should all be inoffensive," but to whom? For example, I would say that there should be no Roman Catholic books in a Christian bookstore (sorry, Phil: that one's gonna hurt I am sure), but I am certain that many people – like Catholics, for example – would strenuously disagree with me. James Dobson and Chuck Colson would disagree with me. But then what do you do with C.S. Lewis who studiously avoided that topic, or someone like Chesterton? Some of what's left is strictly a judgment call by the retailer. And hear me clearly: he has to make that judgment call. He has to or else he is complicitous in the degradation of orthodoxy and the erosion of the life of the church. But at the other end of the cash register, when we walk into a chain Christian retailer or a local guy who thinks he has a ministry to the church, let's remember that the retailer is going to make that decision in part because of how we spend our money. I have a lot more on this re: the responsibility of the retailer, but the next time you feel the need to bash CBA, keep in mind that it is not any more or less slack in its duties than most local churches are today. I might go so far as to say that if 70% of all sermons preached today were at least not offensive, we'd be a big step forward from where we are, but that's an undocumented statement. CBA certainly has some major problems, but most of those problems have one foot in the local church, and the other foot in the local church. If we are going to be angry and not take it anymore, let's start at home where we can actually impact some change for the Gospel. "It's time to play... Mystery Quotation (#2)!" As a sincere compliment to our readership. That is, it is quite obscure, but you folks are so sharp, I bet someone gets it. The Christian is to proclaim and prosecute an irreconcilable war against his bosom sins; those sins which have lain nearest his heart, must now be trampled under his feet. ...Soul, take thy lust, thy only lust, which is the child of thy dearest love, thy Isaac, the sin which has caused most joy and laughter, from which thou has promised thyself the greatest return of pleasure or profit; as ever thou lookest to see my face with comfort, lay hands on it and offer it up: pour out the blood of it before me; run the sacrificing knife of mortification into the very heart of it; and this freely, joyfully, for it is no pleasing sacrifice that is offered with a countenance cast down — and all this now, before thou hast one embrace more from it. ...Who is able to express the conflicts, the wrestlings, the convulsions of spirit the Christian feels, before he can bring his heart to this work? Or who can fully set forth the art, the rhetorical insinuations, with which such a lust will plead for itself? One while Satan will extenuate and mince the matter: It is but a little one, O spare it, and thy soul shall live for all that. Another while he flatters the soul with the secrecy of it: Thou mayest keep me and thy credit also; I will not be seen abroad in thy company to shame thee among thy neighbors; shut me up in the most retired room thou hast in thy heart, from the hearing of others, if thou wilt only let me now and then have the wanton embraces of thy thoughts and affections in secret. ...Now what resolution doth it require to break through such violence and importunity, and notwithstanding all this to do present execution? Here the valiant swordsmen of the world have showed themselves mere cowards who have come out of the field with victorious banners, and then lived, yea, died slaves to a base lust at home. As one could say of a great Roman captain who, as he rode in his triumphant chariot through Rome, had his eye never off a courtezan that walked along the street: Behold, how this goodly captain, that had conquered such potent armies, is himself conquered by one silly woman. Ladies and Gentlemen, the official junk shop of TeamPyro is now open. Black T-shirts are not currently available, but we are working on that. UPDATED: Oh nuts. Listen: if you ordered a t-shirt in the last 24 hours, go back and cancel your order. The graphic we uploaded is not very hi res and I have a real concern about quality. Phil is working on the problem and we will relist all the apparel items when we have a graphic that will look appropriately stylin', but until then, buy a stein or a hat or a button to hold you over. UPDATED: Oh yes. Thanks to Cubby Martinez and his pickup truck full of highly-skilled naturalized desk jockeys, we have resized the offending graphic and are now selling ALL KINDS of apparel. WORLD! This is the conclusion of a three-part series -- unless I feel like writing a fourth! (DOING PROVERBS: THE FINAL CHAPTER!) In Part the First, we noted that a proverb is a compressed parable or allegory. Then in Part the Second, I discussed a couple of illustrative stories, and then shared a proverb that I composed after reflecting over those stories. Okay, it's not Shakespeare. Worse, it's not Solomon. But we can make it work, as a test-case. So let's pretend that we find this couplet all by itself, divorced from any context. That, by the way, is how to approach most of the Solomonic proverbs beginning with chapter ten: each verse is its own thought. Solomon wrote chapters one to nine as well (cf. 1:1), but the style is very different. The first nine chapters might better be termed mashal-odes, or extended proverb-discourses. You can easily discern sections within this portion of Proverbs, such as 1:1-7, or 1:8-19, or 1:20-33. By contrast, there is no similar, obvious thought-flow from Proverbs 10:1 to verse 2 or verse 3. What, then, does my proverb mean? In form, it's like the evaluation-proverbs that we find in the Bible: "Better A than B." The aim of these proverbs is to highlight the best, the wisest, the most blessed course. Solomon holds up two stark contrasts, and asks in effect, "Given these two choices, which is the better?" In so doing, he highlights a particular trait of godly wisdom. Is the intent here to praise poverty, or vegetarian meagerness? No. In these proverbs, it isn't the incidentals that are the focus; it is the singular quality that makes the reader say, "Clearly A is better." We have to ask, "Why is 'a little with the fear of Yahweh' better? Why is 'a dinner of herbs where love is' better?" Solomon is holding up the values of fearing Yahweh, and of filling a house with love. Or again, think of 21:19 -- "It is better to live in a desert land than with a quarrelsome and fretful woman." Is Solomon praising the hermit life? No; but he is warning against marrying a particular kind of woman. He is vividly pressing the truth that there are worse things than being alone. This is that kind of proverb. It is contrasting two extremes, to make one point. Interpretation #1. Well, it could be meant to disparage the use of the intellect. It could be saying that head-knowledge is of little or no value. One should just aim at learning a little bit, stop there, believe that little bit fervently, and be content. That fits the words themselves passably, taken in isolation: "Better to know a little truth, and believe it deeply, Than to know a lot, and not." It is a possible interpretation of the words, as they stand alone. Interpretation #2. Another possible interpretation is the exaltation of experience over doctrine. "I don't know much, but what I know, I believe. Don't talk to me about doctrines, about creeds, about divisions and oppositions and controversies. I have my experience of Jesus, and it's deep and real, and that's all I need." This could be praising that experience-exalting, existentialist stance. Interpretation #3. Or another, similar interpretation could be that the proverb divorces faith from knowledge. "It isn't what you know that matters, it's what you believe in your heart. Don't trouble with analyzing the Bible theologically; steer clear from debating election and predestination and all those doctrines like sanctification and Christology and eschatology and all those other -ologies. Just believe, have simple faith, and be content to stay there." This is a possible interpretation. Interpretation #4. Or another possible interpretation of the proverb's intent is that it highlights the importance of faith, of taking truths to heart in a lively, vital, daily, practical faith. In itself, the proverb neither praises nor denigrates doctrine nor intellect. Its sole aim is to trumpet the point that theoretical knowledge, held at arm's length and in the abstract, is of no value. Truth must be held close to the heart in a vivid, lively faith. Well, now, there are four possible interpretations. Left to the words themselves, it would be awfully rough to single one out as The True Interpretation. How can we choose? Is there any way to have any kind of confidence? It isn't a small question, as anyone who has done much Biblical interpretation can tell you. Often, a passage can, taken in isolation, honestly admit of more than one possible meaning. This is often the case in Proverbs. Is there any way out of the subjective swamp of "What it says to me is..."? I think so. Let's lay out some steps. "And I should care about your stupid proverb because...?" Before we dig in, forgive me for flogging what may already be obvious to you. The reason why I'm dwelling on something I wrote, and will refer to other stuff in my background, is that it's my proverb, which makes it a solid-lock test case. I'm the author, so I hope know what I meant by it! I can step outside myself, put on my Hermeneutics Hat, and apply some principles; then I can step back in, and say whether or not those principles worked. In doing so, my hope is that we'll all gain some good tools for doing the same with Solomon's incomparable and God-breathed wisdom. Ask the author. With my proverb, you could do that -- you could email me. (But I'd just tell you to read parts one and two, so don't bother.) We can't directly do the same with Solomon, though. We're simple Biblical Christians sitting around well this side of Rome, not knowing better than to respect God's consistent discouragement of all attempts to "reach out and touch" deceased sinners, saved or unsaved (cf. Deuteronomy 18:10-12; Isaiah 8:19-22). So we won't try to ask Solomon's shade. However, behind Solomon is the Spirit of God, who does still live. It would insult the truth of the sufficiency of Scripture to ask for further direct revelation, but it honors that same sufficiency to ask God to open our understanding. It is as we think hard and analytically about Scripture that the Lord gives us understanding (2 Timothy 2:7). We won't ask for new law, but we will pray that God opens our eyes to behold wonders out of the revelation already given (Psalm 119:18). Honor the genre. Not only does that sort of rhyme, it makes good sense. Your mother says, "A watched pot never boils." Five minutes later, you return from the kitchen with a bubbling pot, and announce, "Does too, liar!" -- and are properly bonked for your smart mouth. We all know that this proverb makes the point, vividly and memorably, that processes always seem interminable when we're too intently focused on them. The proverb-forms of our culture differ from Solomon's day, but this principle is a constant. A proverb communicates a truth. It does not characteristically communicate all truth. It is a sage insight; it isn't a legal contract. We get ourselves in trouble when we try to make a legal formula, or an all-embracing guarantee, out of a proverb. For instance, Proverbs 16:7 says, "When a man's ways please the LORD, he makes even his enemies to be at peace with him." A rigid formulizer takes that and runs with it, from here to Pluto. It is the key to all relationships, he says. Get your walk right with God, and you will be right with everyone else. By the same token, if you are having any frictions in any relationships, you must be displeasing God. You are in sin. Repent, miserable sinner, and then everything will work out. Until it does, you must still be in God's doghouse. These are the sorts who lay down the law that, if there is friction in a marriage, it must be the man's fault. If he were pleasing God, his wife would fall right in line. Or, again, if there are troubles in a church, if it is experiencing strife or isn't growing, it must be the pastor's fault. If he were pleasing God, God would "bless" (i.e. give harmony and numeric growth to) his church. We will start, then, with the assumption that this proverb has one main point to make, and not assume that it is meant as an exhaustive statement on everything. Further, we will remember the nuance of this particular kind of proverb. Evaluation proverbs simply say "A is better than B." They are not generally declaring that A is best, or even good. The intent is to hold up a transcendant value. What is the transcendent value here? What is it in my proverb that makes A better than B? Is it the amount of truth known? No. It is the element of faith. Therefore, we will not assume that this proverb is saying that it is best, or even good, only to know a little truth. Nor will we stray off to the assumption that it is bad to know a great deal of truth. The proverb isn't about knowing truth; it is about believing the truth one knows. Establish the author's context. Has the author ever written anything else? Let me readjust the supposition about my little proverb. Rather than totally isolating it, let's say that you're aware that I wrote it. You may not have any context for the proverb itself -- that is, it isn't a sentence plucked out of a paragraph -- but you do have a context for me. Have I written anything that gives you any clue as to where I stand on the place of the intellect, or the importance of doctrine or theology. Sure; scads. In this very blog, I just wrote something about that very subject. 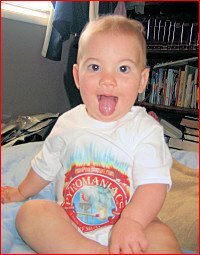 Or over on my own blog, I wrote a scathing little essay comparing Christians who refuse to grow in doctrinal and Biblical understanding with a real-life individual called "baby man." Or elsewhere, in writing to encourage new Christians, I stressed the importance of Bible study, growth in doctrinal understanding, attending a Bible-teaching church. If I didn't care about doctrine, would it have been worth the trouble to write a doctrinal statement? You could go on and on, if you wanted to. The point is, once you started looking at the context of my own writings, you'd immediately begin to doubt interpretations 1, 2, and 3, above. This is where the Bible-believer has a terrific advantage over those to the left. In affirming the Bible's witness as to authorship, we have an objective field of Solomon's writings. The liberal has to make it up. Sadly, that's pretty much OK with them, since it makes it easier to come up with something unique and different. If truth doesn't matter, creativity sells nicely and makes a name for oneself. But by affirming Solomonic authorship, we have an objective fix on him and his place in the flow of redemptive history. So, do Solomon's writings give any clue to the understanding of Proverbs 16:7? Does he think that godly, wise folks will always be popular folks -- and vice-versa? For starters, Proverbs 6:19b does describe a person who "sows discord among brothers." It is that person who Yahweh hates (v. 16), not those divided by his malicious efforts. Again, Proverbs 9:7-8a says, "Whoever corrects a scoffer gets himself abuse, and he who reproves a wicked man incurs injury. 8 Do not reprove a scoffer, or he will hate you." Abuse, injury, hatred -- all this coming to a presumably wise and godly man, with no hint that it is a sign of Yahweh's displeasure. Or again, 15:12 says, "A scoffer does not like to be reproved; he will not go to the wise." He does not like the wise, but it is because they tell him what he does not want to hear, not because they displease Yahweh. Solomon also knew that having a lot of friends was not always a good thing. They might be "bought" friends (Proverbs 14:20; 19:4). He also warned that there are friends who can lead to the destruction of character; far better to have one loyal, true friend (18:24 -- notoriously difficult Hebrew). An aside: as I remarked, it is fashionable among the left to reject Proverbs' claim to Solomonic authorship. What is surprising is the degree to which evangelicals (i.e. Kidner's otherwise absolutely wonderful little commentary, and many others) are ready to shrug off Proverbs 1:1, while at the same time affirming 10:1. But it matters, as you can see just above, and as will recur under the next point. Do chapters 1 - 9 provide a context as to Solomon's thought-world, or don't they? To my mind, a high view of Scripture -- which is to say, Jesus' view of Scripture -- demands a "Yes." Find the larger context. Now here, the parallels will be a little broader, but work with me on this. To start with my little proverb, you'd ask: what is my tradition? What thought-world formed the matrix for that little observation? Would it make a difference whether my own theological tradition were Charismatic, or neo-orthodox, or Roman Catholic, or liberal Protestant, or Quaker, or Word-Faith? Of course it would. So when you know that my tradition is Calvinistic, baptistic, dispensationalist, very strong on inerrancy and on stressing the study of Scripture in the original languages, you can start to form a grid. If you further learn that my heroes, to varying degrees, include Machen, van Til, Owen, Calvin, Luther, and Spurgeon, more of the picture fills out. You might be puzzled by the eclectic range, but you'll see that the case against interpretations 1-3 continues to grow, and #4 looks increasingly likely. So when we apply this to Proverbs 16:7, we gain further wisdom. When we affirm that Solomon wrote this proverb, we have a date and an idea of the thought-world from which this insight sprang. In all likelihood, Solomon would have known of the book of Job, for instance. If any book shatters the notion that good behavior always results in a happy life, or that misfortunes are always divine punishments for sin, it would be Job. 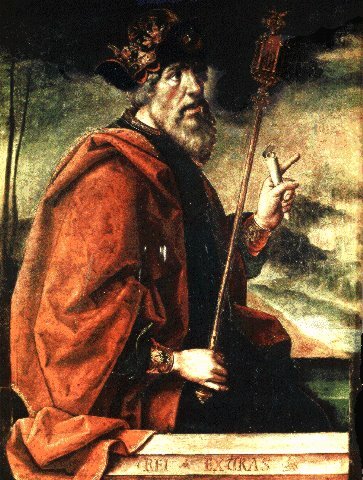 Solomon would also know his father's psalms, and may well have heard him sing of enemies who hid a net for him "without cause" (Psalm 35:7), or of the innumerable foes who "who hate me without cause" (Psalm 69:4) , or again of enemies who "encircle me with words of hate, and attack me without cause" (Psalm 109:3). So he would have known that pleasing Yahweh and sanguine relationships are not always inseparable realities. Put it all together. So in my case, you have a proverb from someone who you know values the systematic and doctrinal study of Scripture, who affirms the role of the mind in love for God (Deuteronomy 6:5), but also embraces the role of a lively, vibrant, dynamic faith (cf. Galatians 5:6; 1 Thessalonians 1:3). It can't be a tirade against truth, doctrine, or knowledge; it can't be praise for ignorance, mysticism, or seizing on one truth to the expense of all others. What is it, then? It is a proverb highlighting the importance of integrating knowledge with faith. It is a proverb aimed at striking home the vital necessity of believing the truth you know, to the point where believed truth shapes, grips, and motivates all of life -- attitudes, thoughts, decisions, actions, emotions. Remember the two stories that were compressed into this proverb. Remember the Magi giving their everything to the one Scripture they knew, and finding Christ, versus the scribes with their fatuous acres of knowledge lying fallow and dead. Remember the atheist who had the entire Hebrew Bible in his memory, but did not have its truth in his heart. And so similarly in the case of Proverbs 16:7, the point is much the same as that which David's greater Son will make later, when He says "seek first the kingdom of God and his righteousness, and all these things will be added to you" (Matthew 6:33). Our relationship with God is our primary relationship. When that relationship is right, God has the power to put all other relationships right -- and He ultimately will, whether by reconciliation or by judgment. I hope this bit of field work helped you as it did me. 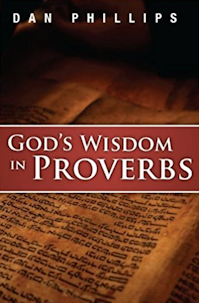 There is a vast array of wisdom arranged with great sagacity in the book of Proverbs. Handling it right both teaches, and requires, wisdom. I know many of you will be horrified by this, but at my home church they let me teach the teens once a year for about 8 weeks. How any Christian in good conscience would let someone like me be responsible for the formation of young minds is probably worth a blog in its own right, but it's always 8 weeks in which I enjoy seeing how much smarter kids are than common knowledge would let on. Last year I taught on the Bible -- where it came from, how we receive it, can we trust it, etc. We started that class as a small group of 4 or 5 and ended with almost 20 kids in the class. This year they let me have all 40 of our Sunday attenders because I'm teaching about the Gospel. "What?" exclaims the critic in the back row. "'The Gospel?' In Sunday School? You're an innovator, cent." Yes, well, given that most adults couldn't define the Gospel for you in spite of years of AWANA and Sunday School and stacks of Max Lucado books and Nooma videos, I believe it is quite innovative, but thank you for your concern. The readers of my blog, I am sure, will recognize our text for this class as 1Cor 15:1-4, and since I have a multi-part series at the blog already and I have this allergy against recycling material, if you're interested in the skeleton of that class you can find it starting here. There is also a powerpoint for those of you audacious enough to use overheads as your outline, and I can send it to you if you ask nice. In 1Cor 15:1-4, Paul defines the essential Gospel -- he overtly says that he delivered to the Corinthians what was of "first importance". In that, his definition of the Gospel includes 3 specific things: the identity and work of Christ, the identity of the church, and the ultimacy of Scripture. I would be willing to say it says other things, too, but I think those are the keys to the Gospel right there. Well, so what? Seriously now: if those are the essentials of the Gospel, what's the breakthrough moment? Why should the astute readers of teamPyro (as opposed to the toadies and lackeys who frequent my blog) care about what constitutes the essential Gospel? We should care because this is where we either advocate the faith or drop the ball. And here's why I bring it up: most of us, on a knee-jerk basis, would never forget that the work of Christ is essential to the Gospel, and many of us would never forget that the Scripture is God's encyclopedia on the work of Christ, right? But many of us -- and I would be bold enough to say that "many" should be "most", and "most" doesn't just mean 51% but more like 85% or worse -- do not take it seriously that the church is an essential part of the Gospel. It's because we are intransigent baptists, really: we are afraid of saying something that superficially sounds like Roman Catholicism (or worse: Presbyterianism -- SHEESH!) and we are afraid that we might accidentally say something that means we ought to gather together in a more substantial way than just for a nice bit of worship (3-4 hymns) and a rousing 25-minute batch of Calvinistic pep talk from the preacher. Listen: if Paul says that the Gospel is that Christ died for our sins in accordance with the Scriptures, the matter of who "us" is is more than just an affirmation of election, because Paul is quite clear in writing 1Cor that he's not writing a letter and floating it out on a butterfly to whosoever will: the "us" to whom the sin for which Christ died belongs to is "the church of God that is in Corinth" (1Cor 1:2). In that, we better know what the church is and how it is identified apart from the world. If we can't do that, we don't know what the Gospel it: we have no idea who it is for or what it is doing in this world. The following is excerpted from a sermon titled "The Lord's Own View of His Church and People," preached at the Metropolitan Tabernacle, London, and first published in 1887. Here Spurgeon responded to the notionalready prevalent in the mid-nineteenth centurythat the way to win the world is to cater to worldly tastes. Churches were offering entertainments as a way of "reaching" the unreached. Preachers were adapting their messages in order to tone down the offense of the cross and reflect the prevailing "scholarship" of the times. Those who opposed these innovations and defended the unvarnished gospel (especially Spurgeon) were derided as harsh, unsophisticated, provincial, or brutish troublemakers. What's highly ironic here is that Spurgeon's message is still as relevant and as seasonable as the day he first said these words, but those in his era who were most keen on working hard to "be relevant" became a sad footnote in the history of the evangelical church. Few of them are remembered by name today, and not one of them is remembered primarily for any positive contribution they made to the growth of the church or the advancement of the gospel. They were trying to get the church to adapt to modernist thought; lots of people in the church embraced this as a wonderful step forward; and modernist ideas finally left almost every major denomination in the world spiritually bankrupt before the middle of the twentieth century. The church is a separate and distinct thing from the world. I suppose there is such a thing as "the Christian world"; but I do not know what it is, or where it can be found. It must be a singular mixture. I know what is meant by a worldly Christian; and I suppose the Christian world must be an aggregate of worldly Christians. But the church of Christ is not of the world. "Ye are not of the world," says Christ, "even as I am not of the world." Great attempts have been made of late to make the church receive the world, and wherever it has succeeded it has come to this result, the world has swallowed up the church. It must be so. The greater is sure to swamp the less. They say, "Do not let us draw any hard-and-fast lines. A great many good people attend our services who may not be quite decided, but still their opinion should be consulted, and their vote should be taken upon the choice of a minister, and there should be entertainments and amusements, in which they can assist." The theory seems to be, that it is well to have a broad gangway from the church to the world: if this be carried out, the result will be that the nominal church will use that gangway to go over to the world, but it will not be used in the other direction. It is thought by some that it would perhaps be better to have no distinct church at all. If the world will not come up to the church, let the church go down to the world; that seems to be the theory. Let the Israelites dwell with the Canaanites, and become one happy family. Such a blending does not appear to have been anticipated by our Lord in the chapter which was read just now: I mean the fifteenth of John. Read verses eighteen and nineteen: "If the world hate you, ye know that it hated me before it hated you. If ye were of the world, the world would love his own: but because ye are not of the world, but I have chosen you out of the world, therefore the world hateth you." Did he ever say"Try to make an alliance with the world, and in all things be conformed to its ways"? Nothing could have been further from our Lord's mind. Oh, that we could see more of holy separation; more dissent from ungodliness, more nonconformity to the world! This is "the dissidence of Dissent" that I care for, far more than I do for party names and the political strife which is engendered by them. The church is to be a garden, walled, taken out of the common, and made a separate and select plot of ground. She is to be a spring shut up, and a fountain sealed, no longer open to the fowl of the air, and the beasts of the field. Saints are to be separate from the rest of men, even as Abraham was when he said to the sons of Seth, "I am a stranger and a sojourner with you." Come now, my dear friends, are you of this sort? Are you foreigners in a country not your own? You are no Christians, remember, if you are not so. "Come out from among them, and be ye separate, saith the Lord, and touch not the unclean thing." That is the Lord's own word to you. Did not he himself suffer without the gate that you might go forth unto him without the camp? Are you at one with the rest of mankind? Could anybody live with you, and never see that any alteration had taken place in you? Would they think that you were just the same as any other man? Then, by your fruits ye shall be known. If there is no difference of life between you and the world, the text does not address you as the "sister" and the "spouse" of Christ. Those who are such are enclosed from the world, and shut up for Christ. "I wish I were more so," cries one. So do I, my friend, and may you and I practically prove the sincerity of that desire by a growing separateness from the world! Incidentally, Spurgeon had hordes of detractors who constantly urged him to tone down his criticism of early modernism. They insisted that he needed to defer to the sensitivities of Christian leaders who were convinced dialogue and compromise were a better response to modernist innovators than the jeremiads Spurgeon frequently delivered. Spurgeon's critics were especially fond of pointing out that he had no seminary training, and had not even gone to college. Many urged him to shut up and let scholars and academicians respond to modernism. I'm glad he shunned that type of counsel. OK, this is really old news, but I like the way Ligon Duncan tells the story. In the years when conflict was rife over civil rights legislation in the deep south, John MacArthur was locked up by a gung-ho Mississippi sheriff for preaching the gospel. MacArthur was leading a group of young people on a summer missions trip, doing evangelistic work in some of Mississippi's most impoverished communities. At the time, MacArthur was working in partnership with John Perkins, a respected black Christian leader. Compared to everything Perkins suffered in those years (see "The preacher and the Klansman" by reporter Jerry Mitchell), MacArthur's time in the clink was a short-lived and fairly mild ordeal. Perkins, on the other hand, was variously tortured, imprisoned, harassed, and threatened with murder by Klansmen and corrupt law-enforcement officials because of his evangelistic preaching in those years. Anyway, the incident left a profound and lasting impact on MacArthur. He doesn't speak about it often. (In 25 years, I have heard him mention it only four or five times.) But it's clear this episode caused him to realize as a young minister that the task we are called to is deadly serious; the stakes are high in the battle for the gospel; and the preacher who ministers faithfully cannot expect to have the praise of men. I've added an important new link in the lower right sidebar (look for the graphic just under the blogrules). It will take you to the "Together for the Gospel" website's registration page. The conference will be April 26–28, 2006 at the Galt House Hotel, Louisville, KY. I'll be teaching at a conference in Sicily that week, so I can't attend. But if you can possibly make it, I highly recommend that you be there. It's going to be a fun, no-holds-barred plain-spoken festival of preaching and teaching featuring several important Christian leaders who (though they may disagree on a lot of secondary stuff) share a common passion for the gospel and a commitment to stand side by side in its defense. Watch the videos if you want a sample of the kind of interaction that happens when these guys get together. In Part the First of this series, we began approaching the interpretation of biblical Proverbs. We noted that a proverb is a compressed parable or allegory. The point of this series is to illustrate how a proverb might be formed, and to reflect on its interpretation. So, this being Part the Second, we'll consider a couple of illustrative stories; and on the basis of them, I'll share a proverb I composed after some reflection. In the course of doing that, the particular proverb will provide some insights about growing in faith. On the third installation of a little series on proverbs, the great Old Testament scholar Bruce K. Waltke dwelt on the importance of memorization of Scripture, drawing from Proverbs 2:1. You can listen to Waltke's sermon here, and find others in the series here. Waltke is always worth listening to, though of course he's all wrong about prophecy. First, Waltke talks about the Magi, in Matthew 2. Here are men to whom God had graciously given a sign in the heavens, to lead them to His Son. Somehow the Magi knew about Messiah. What led them to Israel was the supernatural star that went before them. But they had no Scripture, and did not know specifically where to look. So they turned to Herod, and Herod turned to the scribes. Waltke notes that the scribes probably had memorized the entire Torah, the entire Hebrew Old Testament, every letter. So they knew the answer right away. "But you, O Bethlehem Ephrathah, who are too little to be among the clans of Judah, from you shall come forth for me one who is to be ruler in Israel, whose origin is from of old, from ancient days" (Micah 5:2 ESV). Armed with that one Scripture, the Magi took off in a hurry, and they did find the Messiah. They knew very little, but they took 100% of what they knew to heart, and acted on it with everything they had. But the scribes, who "knew" far more than the Magi, who "knew" it all, did not trouble themselves to get off their rear ends and take the four-kilometer, 30-minute trip from Jerusalem to Bethlehem to find Him for themselves. So the ones with one verse found the Lord, while those with everything never did. This led Waltke to a second story, this one from his own life. The good doctor was in Israel on an archeological scholarship, and wanted to work on his modern Hebrew. Modern Hebrew has 30,000 words not in Biblical Hebrew. So every day, Dr. Waltke got together with a Jewish neighbor, who had been trained as a rabbi. Sometimes they'd hit on a word, and Waltke's friend would say, "Bruce, you should know that word. That's in the Bible." And then the man would quote, from memory, not just the verse, but the entire psalm -- and "drive this poor Gentile straight under the table," Waltke confessed. Finally Waltke said to his friend, "I think you know the entire Tehillim [Psalms] by heart, in Hebrew." His friend acknowledged that he did. Here's the kicker: the man knew the entire Old Testament, by heart, in Hebrew -- and he was an atheist. Not only did he not believe in the divine Messiah foretold in the Old Testament, not only did he not even believe in the God of Abraham, Isaac and Jacob, but he believed in no God at all. So I cast about, not for the first time, for a concise way of expressing this. I wanted to sum it up and boil it down, at the same time. I sought to compress what I was thinking into something more bite-sized and memorable. 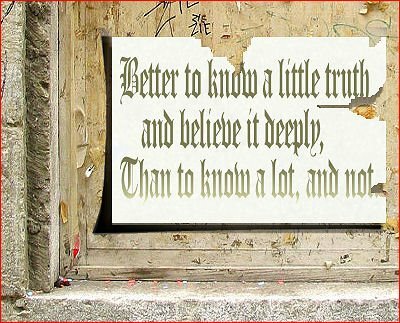 Than he who knows much truth, and believes it little. Than to know a lot, and not. I'll let that sit for a while, and then in part the third I plan to discuss its meaning. The point will not be how poor or, well, poor my literary product is; the point will be to gain and flesh out insights that we can apply to doing better justice to the book of Proverbs. Pretend you met that verse with no backstory, no context to the proverb itself. How would you approach interpreting it? What is the point of the proverb? Is the proverb meant to disparage the use of the intellect? Does the proverb exalt experience over doctrine? Does the proverb divorce faith from knowledge? Is there any way to have certainty in one's interpretation? UPDATE: this way to part three. It's time to play... Mystery Quotations!